Can you improve your health with only one workout on the weekends? 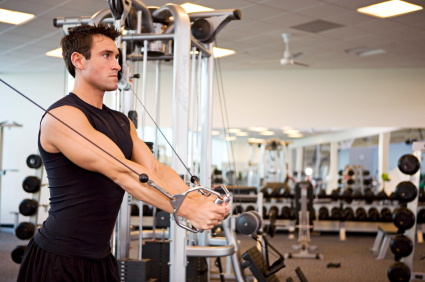 We know that physical exercise can improve our health. It lowers our blood pressure, cholesterol levels, and risk of cardiovascular disease. It helps us lose weight. It even improves our mood and mind. We also know not nearly enough people engage in regular exercise. The World Health Organization recommends that adults engage in at least 150 minutes per week of moderate-intensity aerobic activity or 75 minutes of vigorous-intensity exercise each week. A new study published in JAMA Internal Medicine studied almost 64,000 people to assess their physical activity levels and mortality risk as well as risk of death from cardiovascular disease and cancer specifically. The researchers then focused on the segment within that group who just did one or two sessions of activity per week –weekend warriors. Does being a weekend warrior lower your risk of death? Perhaps surprisingly, subjects who only performed one or two sessions of either moderate-intensity or vigorous-intensity physical activity in their leisure time did have a lower mortality risk from all causes as well as lower cardiovascular disease mortality risk and cancer mortality risk. What sports and exercise lower your risk of death? This study might be great news for people with hectic work and personal schedules who find it difficult to run or get to the gym every day. These weekend sports or exercise sessions aren’t as beneficial as consistent exercise throughout the week, but it’s better than nothing. Whether you exercise every day or just play sports on the weekend, injuries happen. 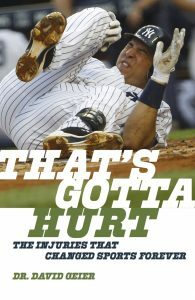 In my new book, That’s Gotta Hurt: The Injuries That Changed Sports Forever, I show you how sports medicine can get you healthy and active and keep you that way longer. And it’s only going to get better! If you love to work out or play sports, you must read it! Pre-order your copy now from Amazon, Barnes and Noble, Books-A-Million, IndieBound or Powell’s Books. Gary O’Donovan, PhD; I-Min Lee, ScD; Mark Hamer, PhD; Emmanuel Stamatakis, PhD. Association of “Weekend Warrior” and Other Leisure Time Physical Activity Patterns With Risks for All-Cause, Cardiovascular Disease, and Cancer Mortality. JAMA Internal Medicine. Published online January 9, 2017. Episode 290: Why is your new workout not working?